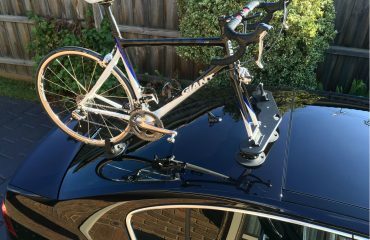 We often help our customers find the right bike rack or roof rack solution for the vehicles. Almost always it is a European or high-end sports car. 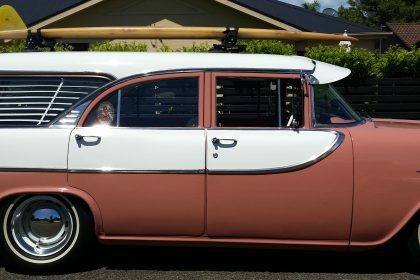 This was the first time we accepted a challenge to find a Holden FB Wagon Roof Rack. 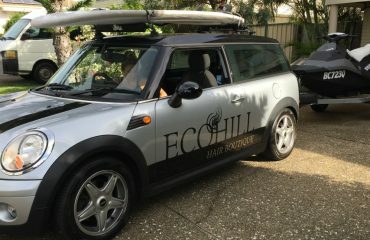 Shane contacted us late last year looking for a solution to carry his classic surf boards to car shows. The photos Shane sent us blew us away, the condition and detail of his 1960 Holden FB Wagon is just amazing. Shane is a panel beater by trade and loves taking his pride and joy to car shows. He was looking for a way to incorporate the classic surf board into his car display. The last thing Shane wanted to do is drill holes or use clamps to fit a roof rack for his surfboards. Shane was already aware of our roof rack solutions. He felt confident it was the right solution for his needs. We shipped a SeaSucker Paddle Board Rack to Shane in mid January. 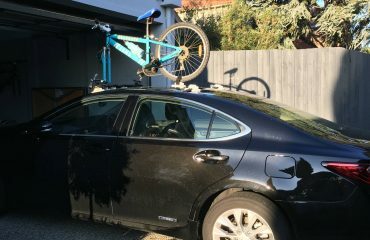 Several weeks later we received photos of the SeaSucker Paddle Board Rack secured to his car. Shane has since used his new roof rack system at a recent car show. The fusion of classic car meets modern roof rack solution works well. This is one of those occasions where describing the end solution doesn’t do it justice. We will let the photos supplied by Shane do the talking.